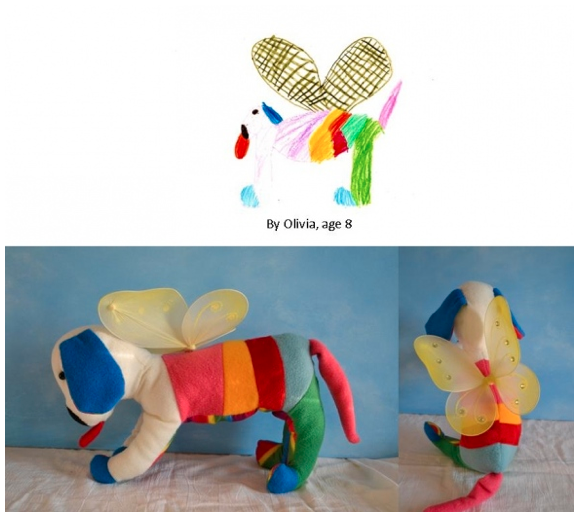 Olivia’s dog with his rainbow stripes, great red tongue and sparkly wings is a most faithful companion. 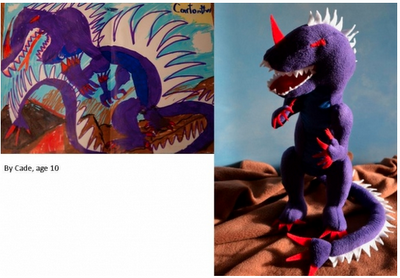 Cade loves to draw fantastic, powerful creatures, like this dragon, named Cartonthorus. I also love how simple, yet effective her site is. She's set it up as a wordpress blog posting beautiful photographs and a brief description, sometimes from the child, of each toy she makes. What an elegant and simple alternative to the 'design tool' mass customised companies create to interact with their consumer! Love it Michael, thanks for sharing. What a genius idea. She clearly would benefit from investment to turn this into a business that can cater for all the hundreds/thousands of requests and get more toy makers to assist her. What child wouldn't want that, nor what parent wouldn't want to buy one for their child. 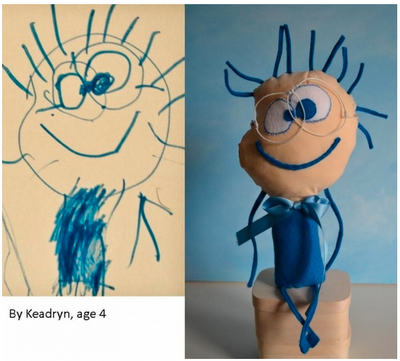 This is so much better than the Build-A-Bear concept for kids. 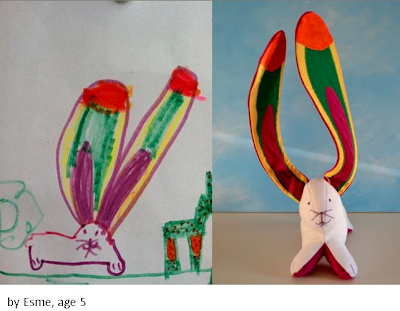 The custom toy industry could be big business.... i love it.